Colorado Disaster Cleanup takes care of storm damage and hail damage, too! Hail damage can be an unexpected emergency that wreaks havoc on your home. We are the most trusted disaster cleanup service company in Denver, and can handle any and all of your storm damage repair needs. We also specialize in storm damage cleanup, leaving you with less to worry about after a ferocious thunderstorm or hailstorm hits the area. If you need help with your storm damage or hail damage, give us a call! We offer regular and emergency services to all residential and commercial Denver customers. Hail Damage causes millions of dollars in losses in Denver each year. Most people think of their cars after a hail storm, but it can have very negative effects on your home as well. Severe hailstorms can damage your roof shingles and siding. It can also cause small tears that turn into leaky roofs and attics with water damage. Luckily, Colorado Disaster Cleanup has years of experience dealing with hail damage and its after effects. We can effectively repair all damaged areas of your home, including attic or framing issues. We will also file insurance claims directly for you, saving you time and letting you focus on more important things. Hail isn’t the only concern that Denver residents have when it comes to weather. Thunderstorms and snowstorms can cause flooding and other damage to a home or business. In addition to flooding, high winds can damage your roof, siding, and windows. For the absolute best in storm damage cleanup, call Colorado Disaster Cleanup! Whenever you need us, we are ready to come to you. 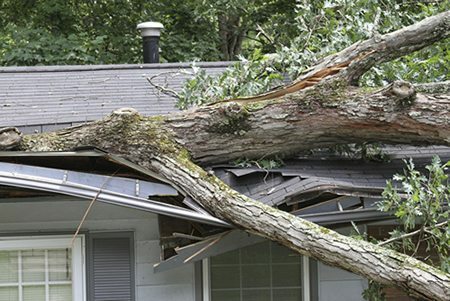 As soon as the storm clears, we will be at your Denver home or business to assess the damage and get started with the best cleanup service in the area. Call today to learn more about our fantastic storm damage repair and storm damage cleanup options! No matter if you need help with storm damage or hail damage, Colorado Disaster Cleanup is the company that Denver trusts. With the most up to date technology to find areas of wetness, the best customer service, and the absolute fastest response times, we are the only choice when you need a cleanup company for your storm or hail damage. We are able to extract water, scan for trapped moisture, and repair any areas that are damaged! You aren’t alone- call now to get a storm damage cleanup team en route to your Denver residence. We’ll be there in an hour to perform the best cleanup service you’ve ever experienced.